Try these novel recipes using a very versatile ingredient. Spaghetti sauce isn't just for spaghetti. A must-have ingredient in the kitchen, it can be used to create easy and delicious dishes the whole family will love. 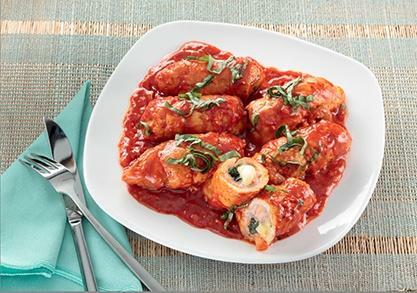 Try these 10 simple recipes and bring spaghetti-sauce use to a new level. This dish is perfect for veggie and chicken lovers and also potluck parties. 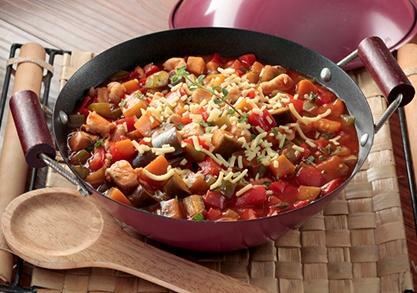 All you need are squash, oregano, eggplant, cheese, and of course Hunt's Spaghetti Sauce Pinoy Party Style. 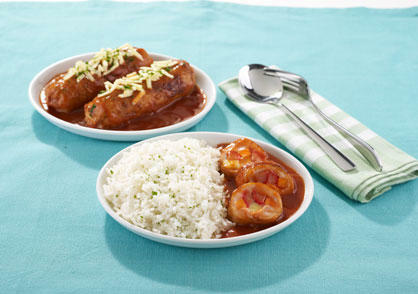 Enjoy this enchilada as a heavy merienda. Bursting with bell peppers, ground beef, and beans, and enriched with the cheesy goodness of Hunt's Spaghetti Sauce Parmesan Cheese, it's wrapped in easy-to-eat tortilla. Who knew you could use spaghetti sauce for a marinade? Just mix together Worcestershire sauce, pineapple jam, and Hunt's Spaghetti Sauce Pinoy Party Style. 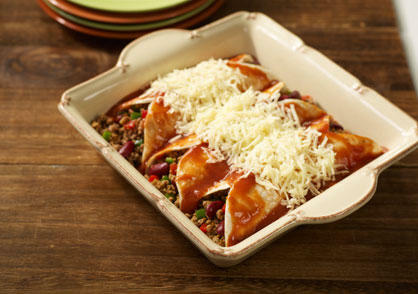 Serve this to your family for lunch one weekend and they won't mind staying in! 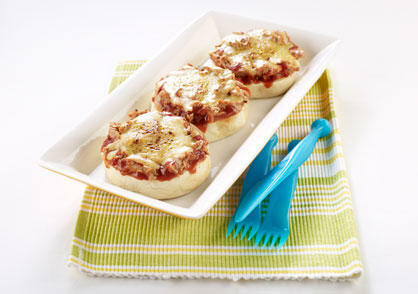 Try this healthy and budget-friendly recipe that's great for breakfast or merienda: an open-faced tuna sandwich with melted cheese topped with Hunt's Spaghetti Sauce Parmesan Cheese. Take a break, and savor the combined flavors of mustard, Parmesan cheese, honey, and Hunt's Spaghetti Sauce that enrich these German franks. 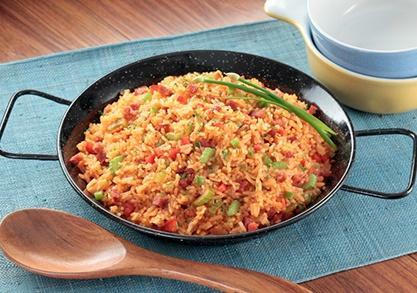 Add some excitement to plain white rice with chorizo, bell pepper, butter, and Hunt’s Spaghetti Sauce Pinoy Party Style! 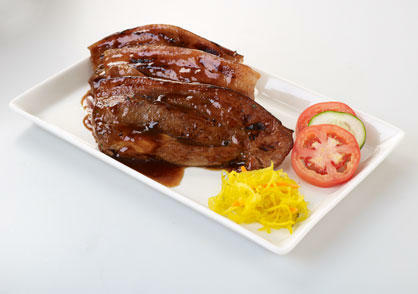 This dish is almost a complete meal in itself. 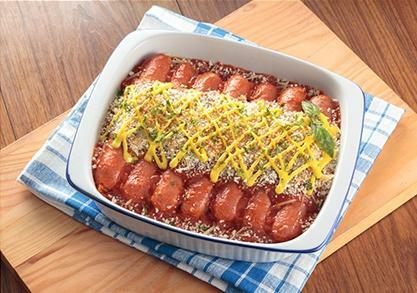 This is one creative and delicious way to "hide" veggies: Roll pork loin slices around kangkong and cheese. Make it even better with Hunt's Spaghetti Sauce Basil and Cheese. 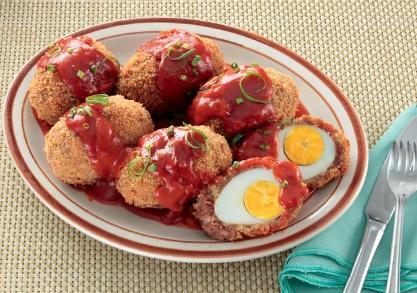 Meat from Vigan's famous longganisa coats these hardboiled eggs. Take them up a notch higher with Hunt's Spaghetti Sauce Basil and Cheese. Stuff chicken thighs with strips of cheddar, onions, carrots, and hotdogs. For the sauce, use Hunt's Spaghetti Sauce Pinoy Party Style. 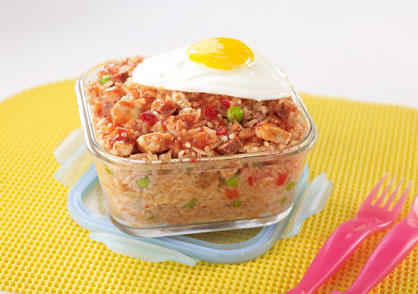 Whip up this one-dish meal for breakfast or for your child's baon. Topped with sunny side up egg, it has chicken, chorizo, and assorted vegetables. 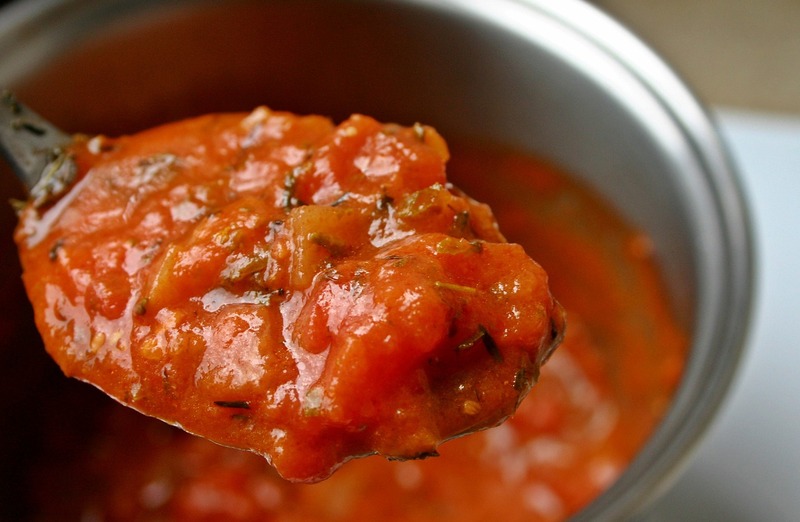 You might oftentimes overlook this, but spaghetti sauce is really more versatile than you think. For all your future creations, cook with Hunt's Spaghetti Sauce! With a little creativity in the kitchen, this useful ingredient can add a healthy twist and liven up any meal of the day. 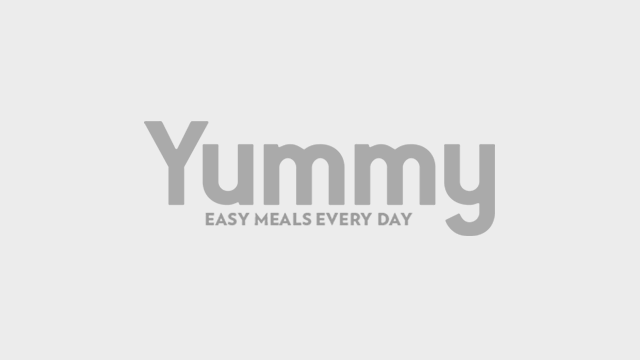 For more superstar recipes, visit www.yummyhunts.com.